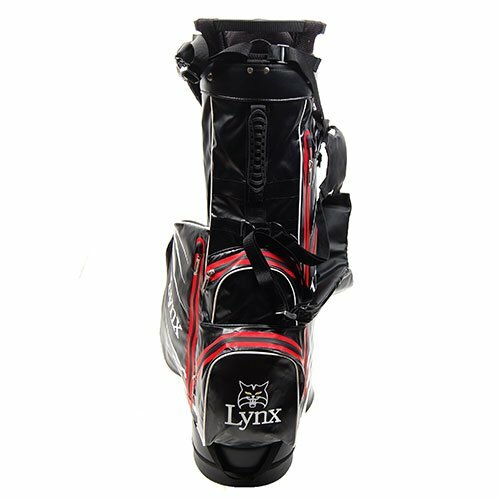 This lightweight, fully appointed stand bag combines ample room for clubs, essentials and accessories, with easier handling and maneuverability. The 8-way top with integrated lift handles maximizes club management and transport, and the 5 pockets optimize organization and convenience. Also included is a towel ring, glove holder and umbrella holder. Waterproof when rainhood is fastened.